Visual Studio Code>Programming Languages>.NET Core ToolsNew to Visual Studio Code? Get it now. 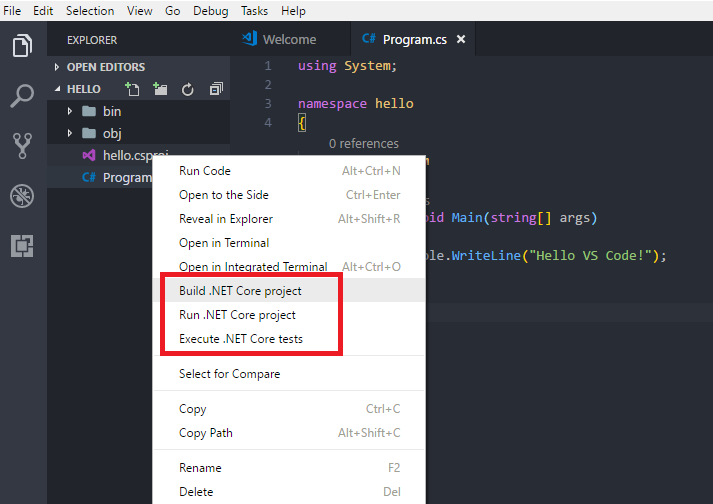 Open a .NET Core project, right click on a .csproj, .fsproj or .sln file, and run .NET Core command from context menu. Currently, the extension is in the very initial phase. If you find any bug or have any suggestion/feature request, please submit the issues to the GitHub Repo.